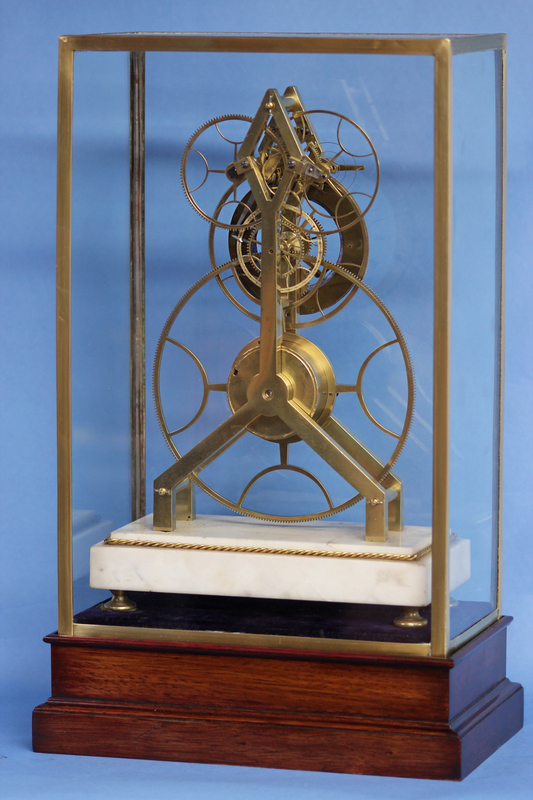 A very rare c.1815 French inverted-y frame great wheel skeleton clock with large second beating balance wheel and sweep-second hand in a glazed purpose made case. 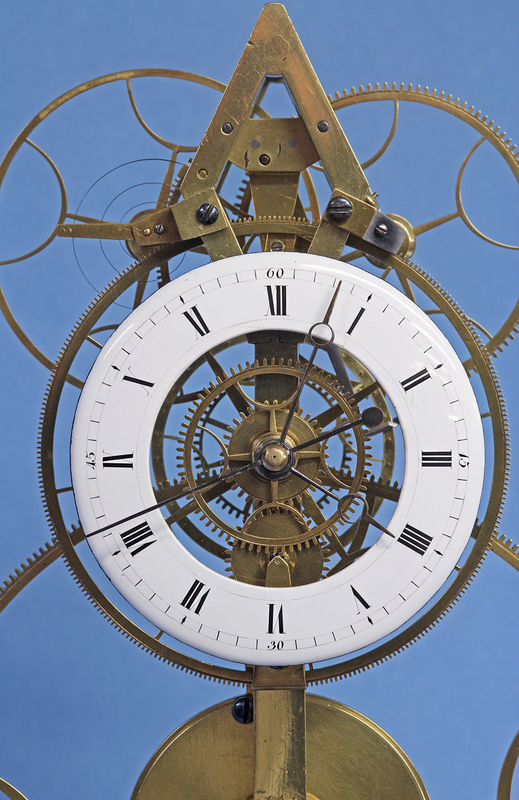 The white porcelain chapter-ring dial has Roman numerals for the hours, Arabic 15-minute marks, steel Breguet-style hands and a sweep second’s bit. The exceptional eight-day movement has an extremely thick inverted-y shaped framework with heavy pillars. 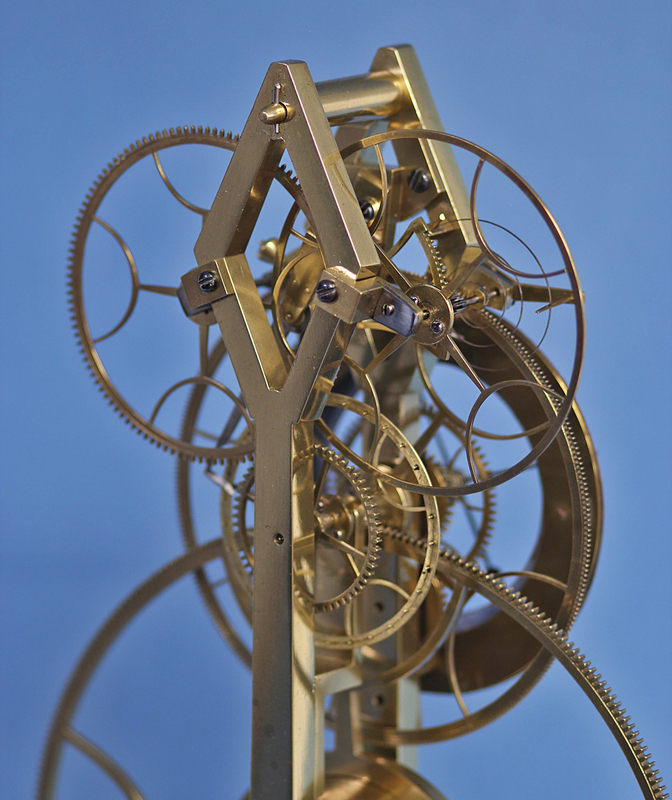 The outstanding finely-cut and finished wheelwork has double screwed collets and spokes terminating in hoops. 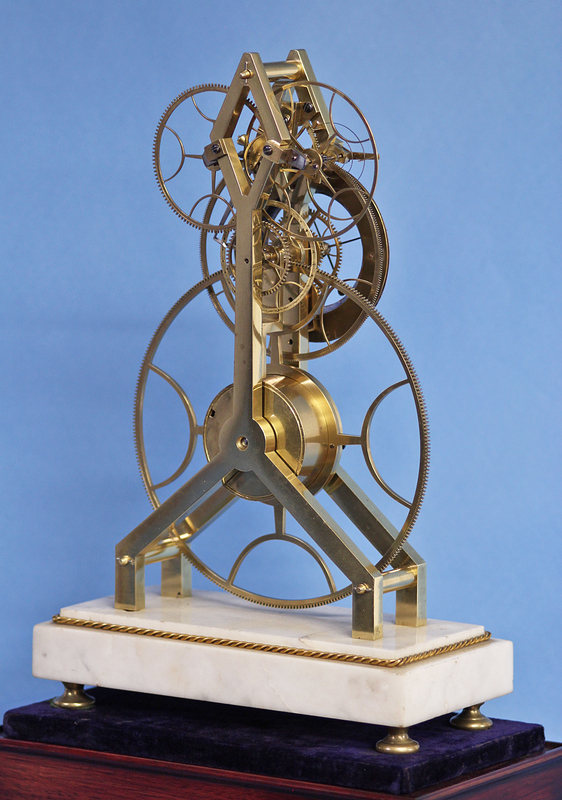 The rack-lever pin-wheel escapement has a second beating balance wheel, incorporates Lepaute’s pallet arrangement, is set for beat by a threaded weight, has a pivoted fast/slow arm that engages the balance spring and has steel end-caps on the two top wheels. 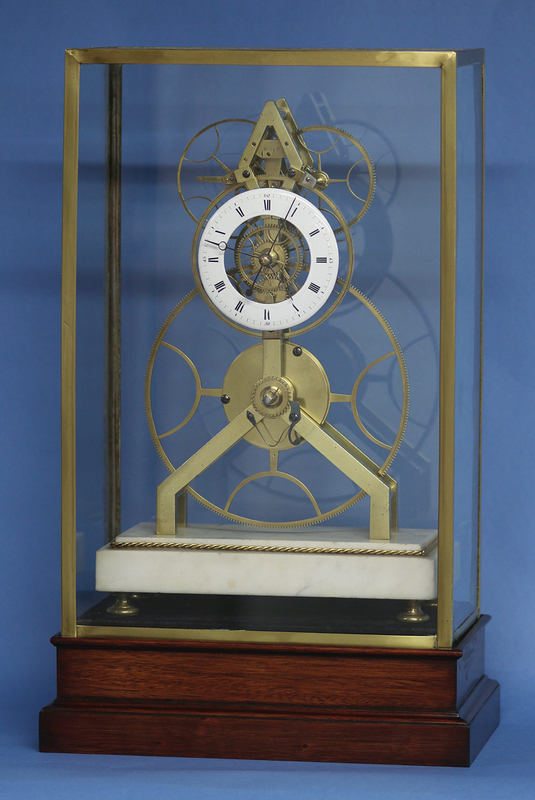 The whole stands on an ormolu mounted white marble base and is protected by a purpose made glazed case. 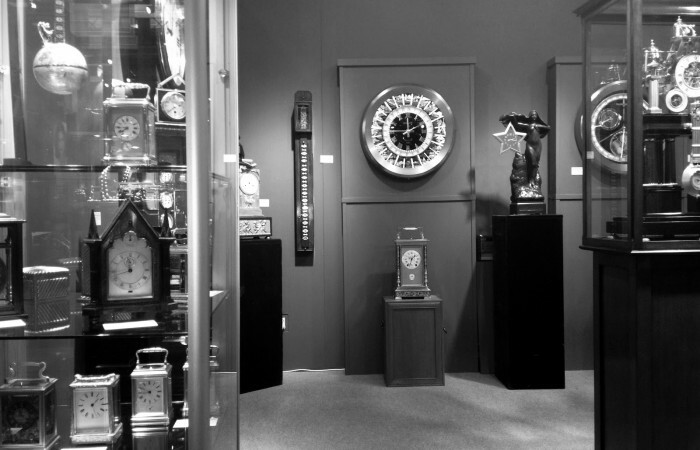 ‘Continental and American Skeleton Clocks’ by Derek Roberts, pg. 62. 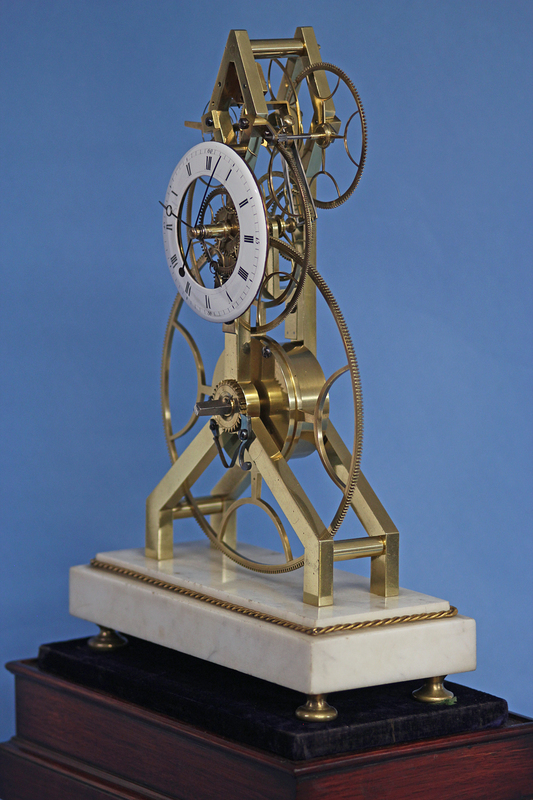 Visit our YouTube page to see a video of this skeleton clock running.